We continued on our way through the museum's twists and turns and heavy, thought provoking content. It is amazing how tragedy and suffering on an epic scale spawned the need for improved medical science. Necessity is the mother of invention... Today we can see the amazing impact of the latest medical science on the wounded veterans of Iraq and Afghanistan. We have evolved to the point where almost every horrific wound can have the potential to result in survival. Interestingly enough, now debate is brewing in some extreme cases whether or not the ability to cheat nature is always the best course of action. We have the ability to save the lives of men and women on the field of battle who are victims of unimaginable trauma but what will be the level of their quality of life? How will they cope psychologically? How will they manage the day to day challenges of the civilian world? With the ongoing conflict, city hospitals in Virginia, Maryland, and Pennsylvania were quickly overwhelmed and new hospitals needed to be quickly designed and built. The new single floor structures were now built in off-set rows to separate the wounded into specific wards, where men with similar ailments and needs could be housed together. The hope of the new design was in limiting the spread of infection and disease through separation. Doctors categorized cases in organized wards with a barrier of physical buffer space between them. 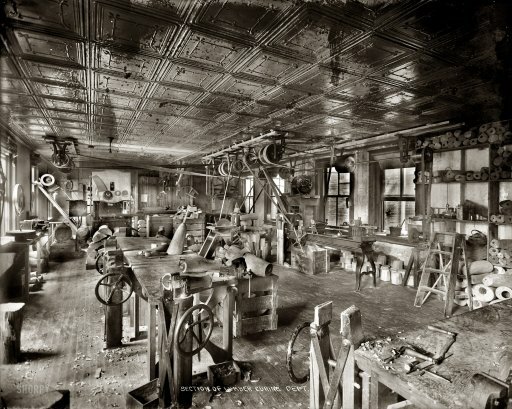 We still use the same concept today, only now wards are separated by floors. 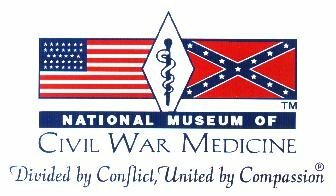 The southern center for military medical treatment was the Confederate capital city of Richmond, Virginia where four major hospitals were located. The largest of these sanatoriums, known as Chimborazo Hospital, was one of the best run medical institutions of the period, treating over 76,000 patients throughout the war. The museum was full of photographs, many of which were disturbing to see. The emerging technology of photography was a tremendous asset to the growth of medical knowledge and study. Doctors now had the ability to accurately document conditions and procedures, helping to share what they learned along the way. The portraits of soldiers pictured in the museum were accompanied by each person's personal postwar story of perseverance, despite physical handicaps and hardships. 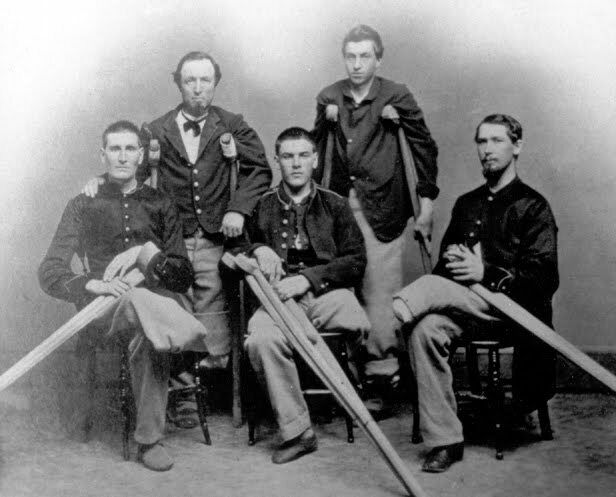 Many wounded veterans of the Civil War would eventually receive a small monthly pension from the government to help cover their living expenses. Private Stratton pictured above, received a monthly pension of $25 a month for the rest of his life. The amount of pensions varied, depending on military rank and level of injury. My great-grandfather, David Lichty enlisted at the age of 18 and served a nine month tour of duty with the 128nd Pa Co. C infantry and then reenlisted in the PA cavalry for the duration of the war. During his service, he contracted an intestinal disease that plagued him for the rest of his life, which included intense migraine headaches that caused temporary blindness. Upon his return to rural Terre Hill, Pennsylvania in Lancaster County, he had a hard time making ends meet due to the effects of his illness. An investigation was conducted in Terre Hill by a traveling pension board from the War Department to determine if he would be eligible to receive a monthly disability pension. He won his case. United States Pension Building / Washington D.C.
Let's back up a bit... A few years ago, I requested a copy of any pension records that might exist for David Lichty in Washington's National Archives. I was just starting to investigate his story and was fishing for information. I was surprised one day to find a phone-book sized FedEx package in my mailbox. I was amazed at the detailed court hearing records that were copied from the original documents and sent to my home. There was a full trial transcript of the proceedings, including medical records, affidavits from superior officers, notes from examining physicians, and statements from witnesses concerning his character from his military service and civilian life. It was fascinating to explore and a little hard to follow since everything was written in hand by the court scribe. The cursive chicken-scratch script suggests that the scribe was having some trouble keeping up or was just completely bored from going through this process for the gazillionth time. Regardless, it had to be slowly translated by yours truly and I am still navigating my way through it. 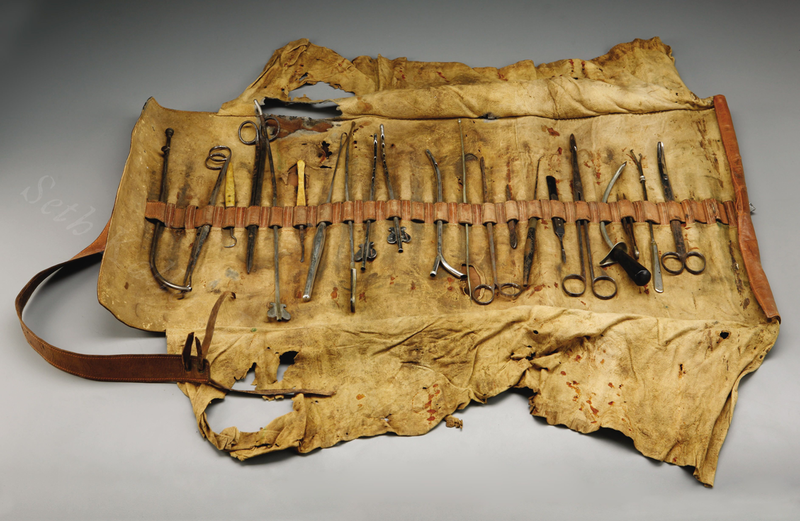 Although records are inconsistent and impossible to verify, historians estimate the total number of amputation procedures performed during the American Civil War may have topped 60,000 cases. As a result, the development of the artificial limb industry soon followed to provide surviving veterans with newly enhanced prosthetic arms and legs to improve their quality of life. Previously, most people who lost limbs due to factory or farming accidents created their own artificial limbs from whatever materials they could obtain. Most were crudely carved from wood and attached with leather straps, buckles, or wire clasps. A better design was desperately needed and the answer would come from an amputee himself. 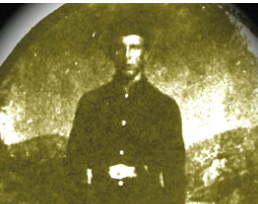 In the early days of the Civil War, an 18 year old Virginian named James Edward Hanger enlisted as a member of the Confederate Churchville Cavalry in Virginia. His unit quickly became engaged by Union forces at the Battle of Phillippi in Virginia at the onset of the war. Hanger was in a stable with his horse when one of the first cannon balls fired by Union Artillery units in the Civil War bounced into his location, hitting his leg. 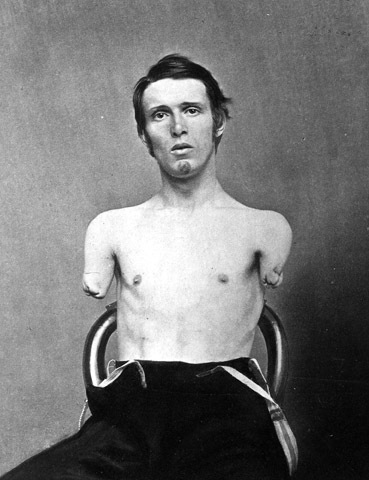 He soon became known as the first documented case of amputation during the Civil War. His leg was removed by Union surgeons and he was later sent back home, along with a wooden peg leg, to recover from his devastating wound. James Edward Hanger was not satisfied by his crude simple wooden appendage and began to try and come up with something better. He used a variety of materials to create an artificial leg that would bend at the knee and ankle. The state of Virginia was so impressed by his prosthetic leg invention that they commissioned him to create more of what became known as the Hanger Limb for other patients from the war. Protected by patents, the J.E. Hanger Company was born and prospered over the years. Later, he even traveled to Europe during World War I to assist amputee patients. The company he founded is still a pioneer in the industry and is now known as Hanger Prosthetics and Orthotics with annual sales topping 2.5 billion dollars. A win for the Confederacy! The United States Sanitary Commission was also formed to combine the efforts of women who wanted to help the health and welfare of the Union soldiers. President Lincoln authorized the creation of the group in 1861 to help organize efforts to help support the war effort. 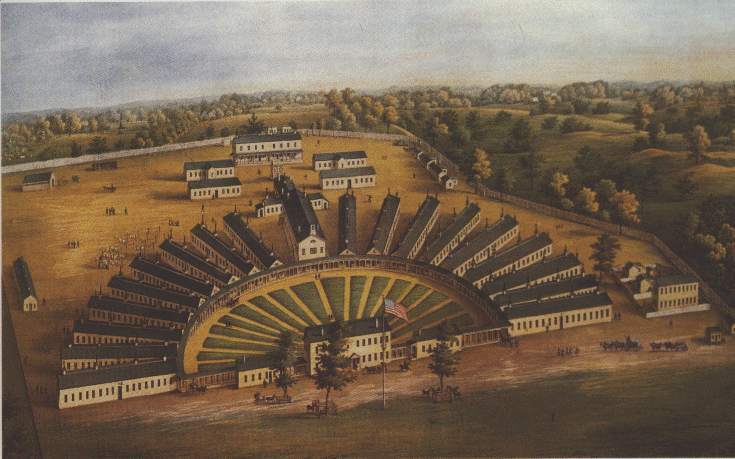 The most important contribution to evolve from the work of the commission was the creation of America's first nursing positions at many military hospitals. They were often referred to as the Angels of the Battlefield and helped save countless lives during the war. 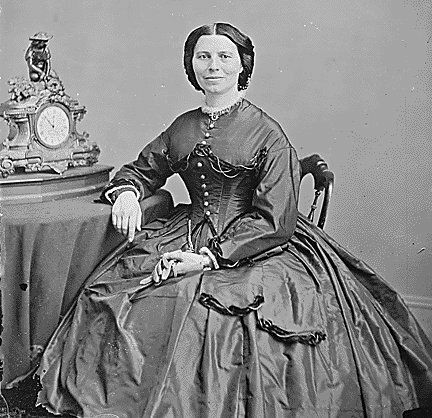 Perhaps as many as 5,000 women served as nurses in both the Union and Confederacy with Clara Barton becoming the most famous personality identified with the new profession. The recognition of the important role of nurses became a big step toward the issue of Women's Rights. 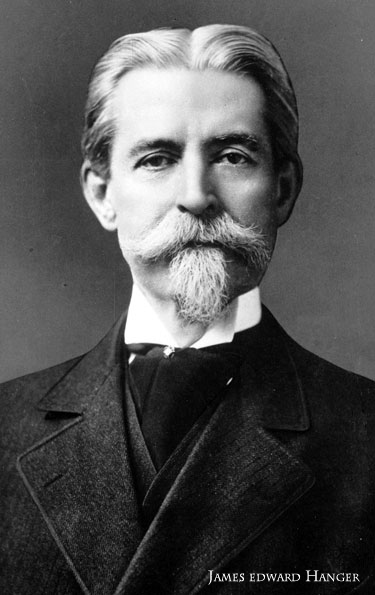 Following the war, Barton pushed for the government to establish an agency to deal with natural disasters. Finally in 1881, the government finally conceded and the American Red Cross was founded. Barton led the organization for the next thirty years until her death at age ninety. The American Red Cross is another example of one of the positive outcomes that emerged from the Civil War tragedy. The South's lack of a powerful navy had a detrimental impact on the level of health care for wounded Confederate soldiers. The North was able to enforce a large blockade around key southern ports that became known as General Winfield Scott's Great Snake or the Anaconda Plan of 1861. The Union stranglehold along the coast of the Confederacy, blocked most supplies from foreign ports reaching the Southern cause. This included many medical supplies desperately needed in southern military hospitals. President Lincoln refused to allow even humanitarian medical shipments to be slipped through the blockade. He was hoping to bring a quicker end to the conflict, even if it meant increasing the toll of human suffering to achieve the end goal of southern surrender. 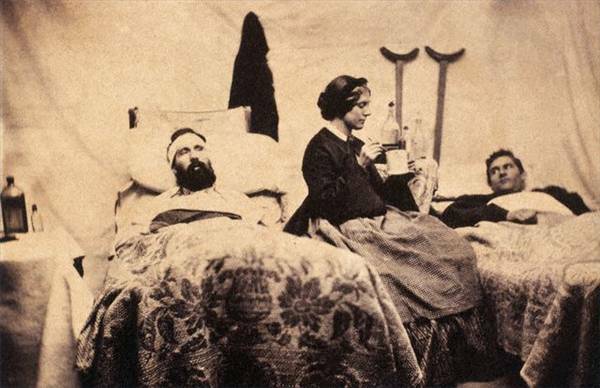 As a result, many southern wounded were treated with methods that included traditional herbal remedies and backwoods folk medicines. The Confederacy also created medical laboratory facilities, attempting to find substitute medicines created from medicinal plants found within the southern region. We left the museum to go off and briefly explore the town in search of lunch before rejoining our group on the bus. We stumbled onto one of the most beautiful parks I had ever visited. 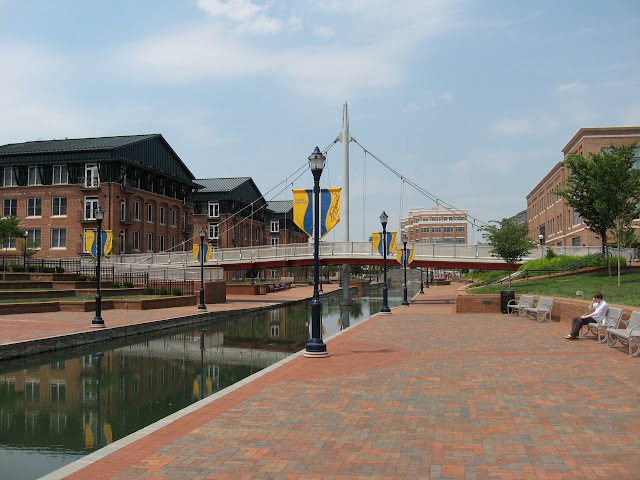 The Carroll Creek Linear Park was a red bricked canal walkway, lined with benches, fountains, murals, and bridges. The space was complimented by matching architecture in the form of apartment buildings, and businesses. We found a Five Guys restaurant and enjoyed a classic burger, fresh-cut fries, and the tranquil view. 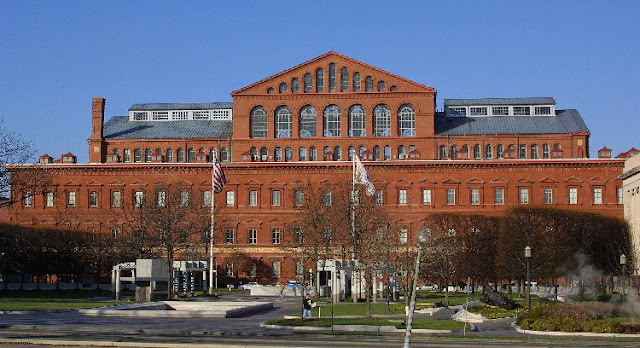 We wished we had more time to further explore the park and surrounding historic streets but we had an unbending schedule to keep and it was time to head back to the tour bus. The relaxed atmosphere of the park was a nice contrast to the heavy content contained within the museum. We were re-energized and ready to hit the road to the next stop on our planned itinerary.